A UK-based non-profit organisation, working in the field of childhood cancer, has revealed that the camera of smartphones can easily detect eye cancer, generally found in children under the age of five. Spotting one of the symptoms of eye cancer in children can be scary for any parents, but awareness about the disease can help ensure early detection and treatment of such symptoms. A UK-based non-profit organisation, working in the field of childhood cancer, reveals that the camera of our smartphones can easily detect eye cancer, which is generally found in children under the age of five. Retinoblastoma, a rare and fast growing eye cancer of early childhood, develops in the eye's light-sensitive tissue - Retina. The signs of Retinoblastoma include an abnormal appearance of the pupil, which reflects white in low artificial lighting or in a flash used while taking any photograph. 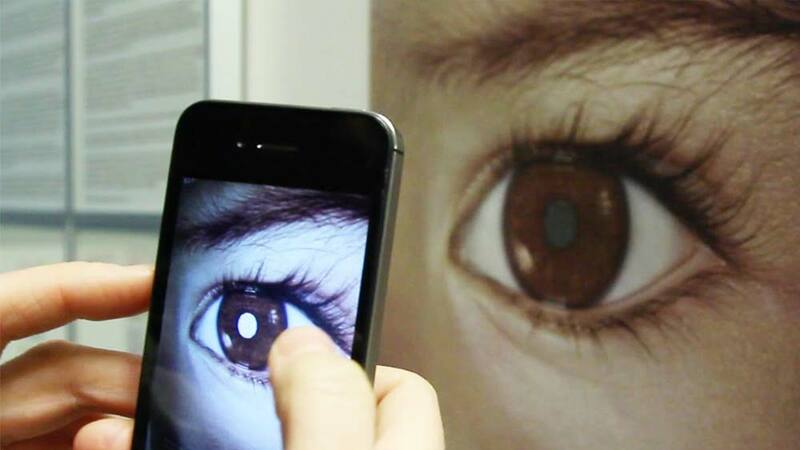 According to the Childhood Eye Cancer Trust (CHECT), a UK charity for families and individuals affected by retinoblastoma, the flash from the smartphone camera can easily spot retinoblastoma. "Our hope is that our research will mean no child ever has to experience the trauma of losing their eye, their sight or their life through eye cancer," said Joy Felgate, CEO, CHECT. As a diagnostic tool, CHECT found smartphone cameras so effective that they also ran an ad campaign to create awareness about the cancer. The non-profit organisation urge people to put their devices to better use to look for the eye disease, instead of spending hours staring at their phone screens. According to doctors, spotting a white flash in a child's pupil is not a definitive diagnosis of retinoblastoma, but it is always worth following up. UP govt to open swine flu testing labs..